The origins of the Equestrian Order of the Holy Sepulchre of Jerusalem date back to the First Crusade over 900 years ago. A Papal Order, today, our members dedicate themselves to personal sanctification, fidelity to the teachings of the Roman Catholic Church, and support of the Christian Community in the Holy Land. 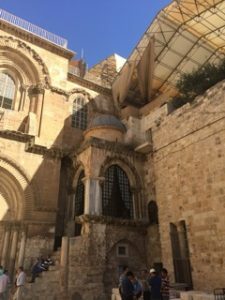 Knights and Ladies continue this tradition through prayer and pilgrimage, active involvement in their parish and diocese and a commitment of financial resources to support Catholic Institutions in the Holy Land. The Equestrian Order of the Holy Sepulchre of Jerusalem is the only lay institution of the Vatican State charged with the task of providing for the needs of the Latin Patriarchate of Jerusalem and of all the activities and initiatives to support the Christian presence in the Holy Land. • Humanitarian assistance for food and medical supplies. It is through the dedication of our members that we support and educate our brothers and sisters in the Holy Land, living by example the command to love and serve. A ‘Lieutenancy’ is a geographic division within the Equestrian Order of the Holy Sepulchre. The Western USA Lieutenancy is one of nine lieutenancies in the United States. It encompasses the Archdiocese of Los Angeles, and the Dioceses of San Bernardino, Orange, San Diego, Phoenix, Tucson, Las Vegas, Salt Lake City, and Honolulu. 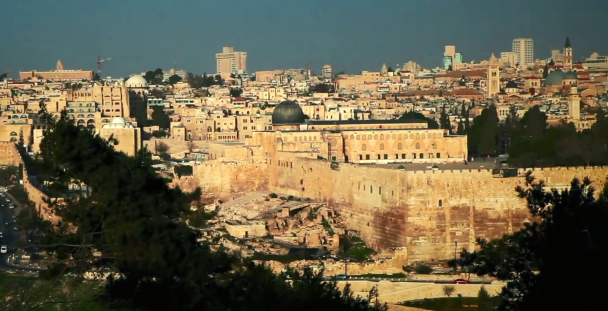 • To uphold the rights of the Catholic Church in the Holy Land. The Equestrian Order of the Holy Sepulchre of Jerusalem is the only lay institution of the Vatican State charged with the task of providing for the needs of the Latin Patriarchate of Jerusalem and of all the activities and initiatives to support the Christian presence in the Holy Land. The contributions made by its members are therefore the Patriarchal institutions’ main source. Hear about the mission of the Order from some of its Knights and Ladies in their own voices. Short video. The principal symbol of the Order is the Jerusalem Cross. This fivefold cross has for centuries been a symbol of the holy city of Jerusalem, where the Order arose and which is still its spiritual home. It consists of a large central cross with laterally extended tips, with a similar smaller cross in each quarter of the large cross. It is traditionally said to symbolize the five most precious wounds suffered by Jesus Christ. Joining the Order means taking on a commitment for life. The commitment to be a Witness to the Faith, to lead an exemplary Christian life of continuing charity in support of the Christian communities in the Holy Land, to practice the true charitable commitment of a Christian. The purpose of joining the Order is to serve the Catholic Church and to carry out acts of charity to make the operations to maintain the Christian presence in the Holy Land possible. The purpose of joining the Order is not to become a member of a prestigious organization in order to boast of one’s status or acquire personal benefits and advantages. Candidates are put forward and seconded by existing Members of the Order. The Lieutenant assesses the candidate’s worthiness and, if determined appropriate, submits the Candidates to review by the Grand Magisterium for admission to the Order. As already indicated, the Order is represented in almost every country in the world where there is a large Catholic community and appropriate conditions for activities that will allow it to achieve its objectives. Together, and individually, each Lieutenancy, Section and Delegation draws up a yearly program of meetings and events aimed at strengthening the spiritual growth of the Members as well as events to raise awareness of the Order’s role and activities in their respective local communities. The donations raised for the Holy Land are administered by the Lieutenancies in accordance with the administrative and fiscal legislation of their country of operation and each Lieutenancy maintains relevant accounts of which are reported to the Grand Magisterium. These accounts include the amount of donations, the beneficiaries and the purpose for which they are allocated. The especially difficult times following the second Intifada, (which put a stop to work and economic activity in a very large part of the Holy Land), caused many Christians to lose their jobs and prompted the Latin Patriarchate, the Apostolic Nunciature and the other Catholic institutions to engage in the distribution of social and humanitarian aid in an operation to provide the families most in need with direct financial support. However, charity in the form of direct subsidies – which some may view as “handouts” – is not part of the Order’s normal operating methods. Handouts humiliate the people obliged to accept them and have an adverse effect by encouraging the beneficiaries to live on charity. The Order’s policy has been, and still is, to help the Christians in the Holy Land achieve educational and professional standards that will enable them to play an active part in the society of their own country, at a level that will give them equality with people of other faiths. In the latter half of the 20th century, middle-class Christian families leaving the Holy Land to seek a secure future abroad became a real exodus. Today, the number of Christians in different areas of the Holy Land varies from 2% to 4% of the local population and these are very largely craft workers, small tradesmen and those working in the tourist industry that has developed alongside pilgrimages. Such very small minorities can only survive if their skills are high enough to earn them the appreciation and esteem of the society in which they live; and this can only be achieved thanks to better standards of education and training. Since the end of the 19th century, the Order has financed the construction of 40 patriarchal schools in Israel, Palestine and Jordan and it now has a commitment to fund their running costs. Today around 19,000 pupils and students attend these schools, from nursery classes through elementary, middle and upper school, as well as in a number of technical schools. On average, the student breakdown is 60% Christian (Catholics, Orthodox, etc.) and 40% Muslim. The Order’s involvement with education helps to deal with a very important problem in the region: how to get people of different races and religions used to living in peace and mutual respect. If these values are encouraged from an early age they may be implanted in children’s minds, otherwise there is no hope of doing it at a later stage, for in adolescence young people are easy prey to extremist ideologies. The running costs of the Patriarchate and its 68 parishes, the salaries of the 900 teachers and other staff in the educational establishments, the costs of the patriarchal seminary and the orphanages and clinics, as well as those of the Patriarchate’s new enterprises and other ongoing projects (including the construction of housing for young Christian families) are enormous and rise continually, putting a heavy burden on our Order. Such costs can only be sustained thanks to the generosity of the active Members of the Order. Vatican City, 16 October 2012 (VIS) – In response to frequent requests for information concerning the recognition by the Holy See of Equestrian Orders dedicated to the saints or to holy places, the Secretariat of State considers it opportune to reiterate what has already been published, namely that, other than its own Equestrian Orders (the Supreme Order of Christ, the Order of the Golden Spur, the Pian Order, the Order of Saint Gregory the Great, and the Order of Pope Saint Sylvester), the Holy See recognizes and supports only the Sovereign Military Order of Malta – also known as the Sovereign Military Hospitaller Order of Saint John of Jerusalem of Rhodes and of Malta – and the Equestrian Order of the Holy Sepulchre of Jerusalem. The Holy See foresees no additions or innovations in this regard. All other orders, whether of recent origin or mediaeval foundation, are not recognized by the Holy See. Furthermore, the Holy See does not guarantee their historical or juridical legitimacy, their ends or organizational structures. To avoid any possible doubts, even owing to illicit issuing of documents or the inappropriate use of sacred places, and to prevent the continuation of abuses which may result in harm to people of good faith, the Holy See confirms that it attributes absolutely no value whatsoever to certificates of membership or insignia issued by these groups, and it considers inappropriate the use of churches or chapels for their so-called “ceremonies of investiture”. 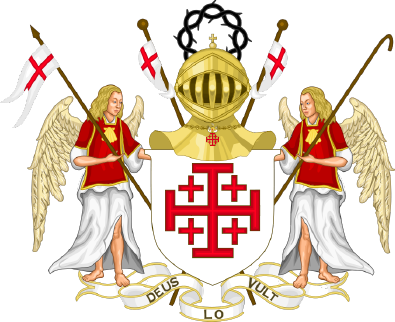 Copyright © 2019 Equestrian Order of the Holy Sepulchre of Jerusalem — Western Lieutenancy. All rights reserved.